Bishop Dwayne D. Royster is the founding Pastor of Living Water United Church of Christ. He is currently serving as political director of People Improving Communities through Organizing (PICO), the mother organization of POWER, in Washington, D.C.
Bishop Royster has served in Pastoral ministry for the past 20 years in a variety of positions and denominations. He has served in the United Methodist Church, The Mennonite Church and the Baptist Church Traditions. Now along with other faithful Christians, Bishop Royster and family founded Living Water United Church of Christ. Committed to the four biblical principals of Redemption, Restoration, Renewal and Refreshment...Living Water is not just your average church on the block nor is Bishop Royster your average Pastor. Working diligently to meet people where they are, Bishop Royster instills in the congregation a need to be like Christ. Slow to judge always ready to offer grace and mercy. Bishop Royster is an advocate for preparing congregations for the ministry of availability. He is fond of saying that, "Ministry should not be limited to Sunday mornings. Sunday is a time of worship. Ministry should be done Monday thru Sunday on the bus stops, at the supermarkets, in workplaces, at soccer games, etc... Wherever people are... so is God and He is able to do miraculous things through His children that are prepared. In this current generation many will never grace the doors of a church...but like Jesus we must take the message to the people and tell them the good news. Like the woman at the well they can be FREE." 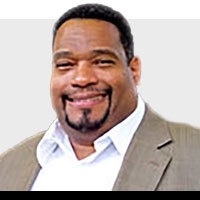 Bishop Royster has served as a staff minister, Associate Pastor, Church Planter and Pastor. In addition to his pastoral responsibilities Bishop Royster is the General Secretary of Higher Ground Christian Fellowship International and serves on the College of Bishops. The Bishop is a graduate of Geneva College’s Center for Urban Theological Studies with a BS in Urban Ministry Management. In addition, Bishop Royster has studied at Eastern Baptist Theological Seminary and is a graduate of the Lutheran Theological Seminary In Philadelphia with a Master of Arts in Religion Degree with a specialization in the African American Church. Bishop Dwayne D. Royster is married to the lovely Suzette Royster and together they are the parents of two beautiful daughters.